Researchers from Auburn University’s Research Initiative in Cancer (AURIC), and Nuovo Biologics LLC, of Davie, Fla., have announced a partnership to develop new therapies for cancer. Initially targeting canine malignant melanoma, or skin cancer, a deadly tumor that affects many dogs, the team will be testing Nuovo’s innovative anti-cancer peptide drug MMX™ for its ability to treat these tumors. Both AURIC and Nuovo Biologics take a One Health/One Medicine approach to cancer treatment, allowing discoveries in one species to be translated to other species. This latest partnership builds on the collaborative approach Nuovo has implemented with academic institutions, researchers, and veterinarians across the country. Founded in Davie, Fla. in 2010, Nuovo Biologics is focused on developing a unique set of therapeutic protein drugs. Extensive in-vitro and animal model studies have shown these new peptide drugs to be promising in the oncology sphere, but also to have broad anti-viral application. Nuovo’s business model leverages strong collaborations to test animal products, which serve as models for the human market moving forward. 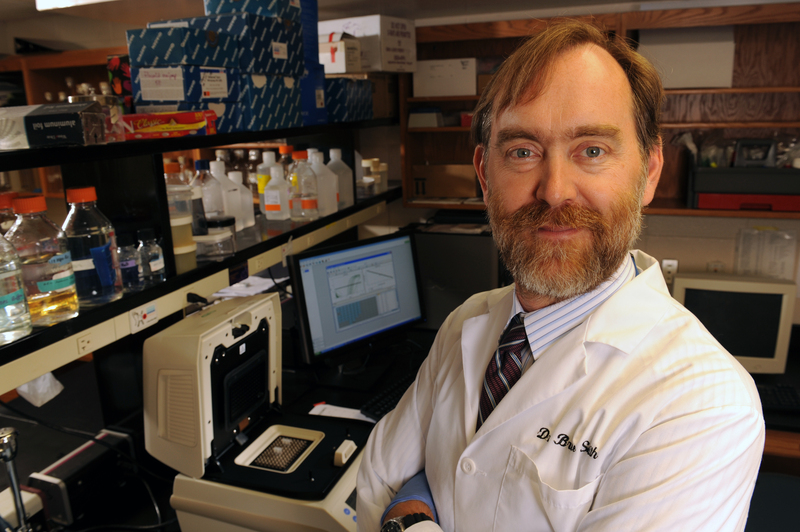 The Auburn University Research Initiative in Cancer promotes research that enhances competitiveness to advance the understanding of the biology of cancer, and fosters the translation of novel technologies from the laboratory to the clinic. AURIC is human medicine, animal medicine, research and diagnostics where faculty, students, and staff work together to solve the complex puzzle of cancer. AURIC is based within the Auburn University College of Veterinary Medicine.